It is commonly received wisdom that communism as a political force is pretty much dead. This is in spite of huge gains for Marxist forces in Latin America, a growing communist movement in Europe, Africa and South Asia and a general move to the left worldwide. However many communist ruled or dominated countries have adopted so called free market economic strategies. We see this is in China, Vietnam, Laos, Cambodia, Mongolia, South Africa and dare I say it, even in "Mother" Russia. Westerners trumpet this as further evidence of the collapse of socialism, a tacit admission that capitalism has won the day. China in particular is called "capitalist in all but name" and is being flooded with Western capital. Most commentators agree that is only a matter of time before China officially renounces Marxism-Leninism and turns into some kind of "democratic" state or states. Strangely, leading communists have a very different view. 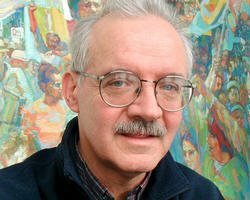 Sam Webb, since 1998 has been chairman of one of the world's most influential Marxist-Leninist parties, The Communist Party USA. Webb has a very different rationale for the economic changes evident in many "socialist" countries. Webb, like most sophisticated Marxist leaders, fully acknowledges the productive power of capitalism. Like Lenin in the '20s he recognizes capitalism as a force to be harnessed, then ultimately conquered. Communists have moved on, they no longer seek to smash capitalism, they seek to first gain control of it, milk it, then destroy it. PA: Many countries that have a socialist orientation are in the developing world: China, Vietnam, Cuba. Several have adopted a concept of socialism called market socialism. I know we have said there are no models, but is the socialist market economy the new model? Webb: These countries are in the early stages of socialism, they are developing countries and the productive forces are at a low level, so they are employing market mechanisms to assist in their economic development. This doesn't contradict the thinking of Marx, Engels or Lenin. Even if we were dealing with more advanced countries, take our country for example - if this were the day after, the week after, the year after, the decade after the socialist revolution, we would employ market mechanisms in the construction of the socialist economy. There was a tendency in the communist movement to expect that market relations would disappear almost overnight, in the early stages of socialism. I'm not convinced that was an accurate reading of the classical literature or a lesson that we should draw from the experience of socialist construction in the 20th century. Some socialist countries tried to make too quick a leap from one stage of socialist development, in which market relations were employed, to a more advanced stage, in which commodity-money relations were marginal, and, as a result, experienced very negative consequences. The example that comes most readily to mind is China. At the core of Mao's economic policies was not simply the acceleration of the pace of development, but rather leaping over whole stages. Unfortunately, China pursued that policy at a very dear price. There's a lot of controversy now about the current economic policies of the Communist Party of China. Many people are critical, but in my short stay there (I visited about a year and a half ago), it was apparent that the opening up of the country and the employment of market mechanisms has led to the acceleration of growth. Some say there is greater inequality, and that's true, but at the same time they are lifting tens of millions out of poverty. Simply because the Chinese are utilizing market mechanisms and inserting themselves into the global economy is not reason enough to conclude that China is moving away from socialism. Why do I say this? First of all, no country can develop apart from the global economy? While it is no simple task for the socialist and developing countries to insert themselves into a world economy that is dominated by and structured in the interests of the most powerful capitalist countries, do these countries have any other feasible option? Secondly, market mechanisms are not by definition at war with socialist construction. Whether they are utilized and how they contribute to socialist construction of one or another country can't be solved abstractly in the realm of high theory. It has to be answered by examining the concrete political and economic circumstances in any given country. Finally, we should study the experience of socialism in the 20th century as well as revisit both the early literature and more recent discussions on the socialist economy before we draw hard and fast conclusions with respect to the use of market criteria and tools in a socialist society. Lenin once said (and I'm paraphrasing him here) that the economic policies of the post-civil war Soviet state had to be adjusted to the mentality of the peasants, which led to the adoption of the New Economic Policy in the early 1920s. Not only was this necessary to revive an economy that was in shambles after the civil war, but it was the glue that maintained the strategic alliance between a tiny working class and huge peasantry. This alliance, Lenin argued time and again, was the essential political requirement for the forward movement of socialism in a very backward country.